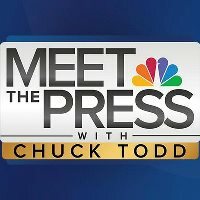 John Reiss has been named executive producer of NBC‘s Meet the Press, after serving as acting executive producer since September 2014. He was previously executive producer for Hardball with Chris Matthews and served as executive producer for NBC Nightly News with Brian Williams, which received four Emmy Awards during his tenure. Before joining Nightly News, Reiss spent nine years as a senior producer for Dateline NBC. Join the roundtable discussions on national and international news topics on Facebook and Google+.